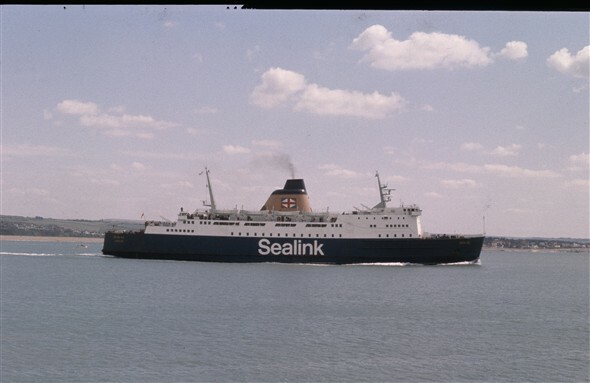 Some photos of our much-loved ferry Senlac. 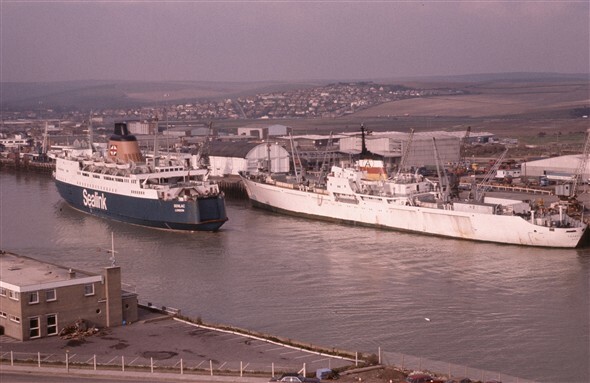 One of three identical sister ships (the others being Hengist and Horsa on the short sea routes), she arrived in 1973, the first British newbuild for the route since the Brighton (VI) of 1950. Much larger than the Falaise that she replaced, she was a comfortable, reliable workhorse and importantly allowed much more freight to be carried than Falaise or the French 'V' twins. 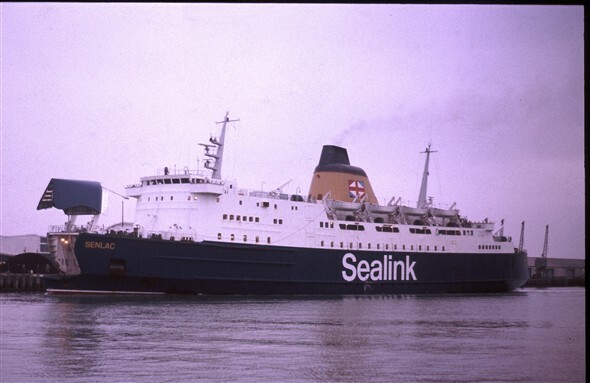 Sea Containers/Sealink British Ferries pulled out of the Newhaven-Dieppe service in 1985, less than a year after buying Sealink in its entirety for just £66 million. They would shut down several routes like this. 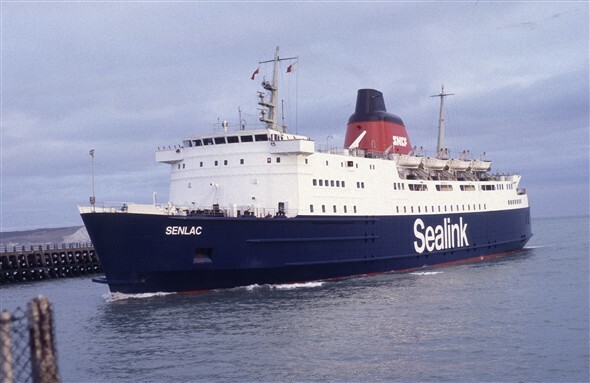 the British 1/3 share in Senlac was sold to SNCF, who then ran the route under the Sealink Dieppe Ferries name. 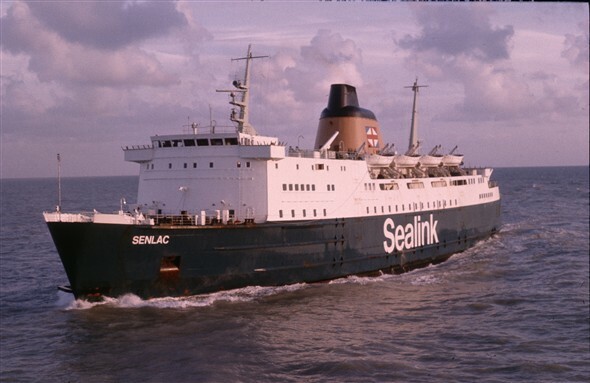 Eventually, larger ferries were called for and Senlac was replaced with the Versailles and Champs Elysees. She went on to have a good career in the Mediterranean, firstly as Express Apollon and then Apollon. The years caught up with her and mechanical issues made repairs unviable. She was broken up at Aliaga. This page was added by Stephen Morris on 15/10/2017.